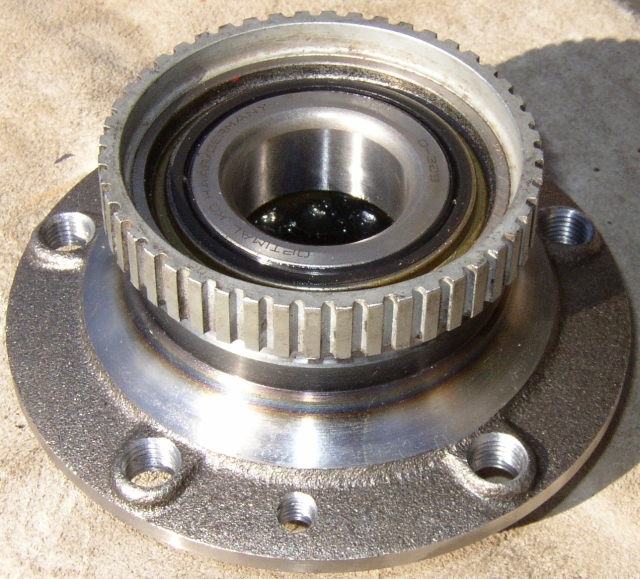 To avoid the high cost of the M3 wheel bearing I have decided to use an E28 bearing and swap the ABS ring. Picture 5: Lord of the Rings! Left the E28 ring, right the M3 ring. Note the step in the M3 ring. 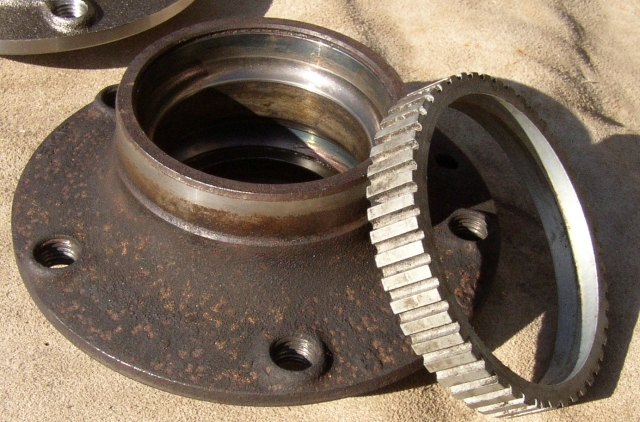 The M3 ring is much wider than the E28 ring and will not be knocked down to sit flush with the bearing. It will be flush with the step inside. 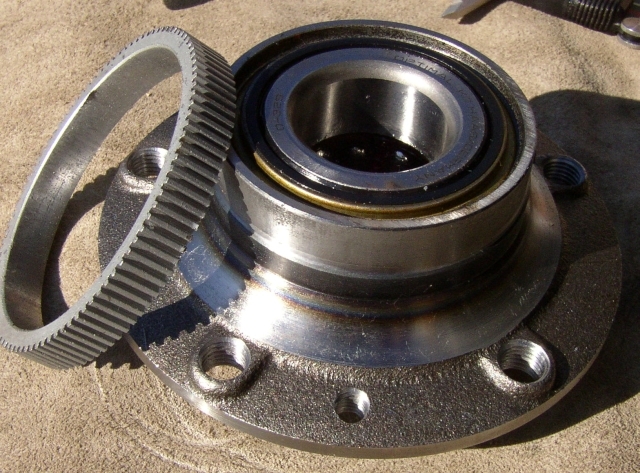 Picture 6: E28 wheel bearing with M3 ABS Ring in place. Job done in less than 20mins and a small fortune saved! Goodbye M3, you served me well. Thanks for pictures. Here's another writeup I found, and a source for the ABS rings should you need replacement rings. I had a rough time using a 2 armed puller. Next time I pay for the 3rd arm. 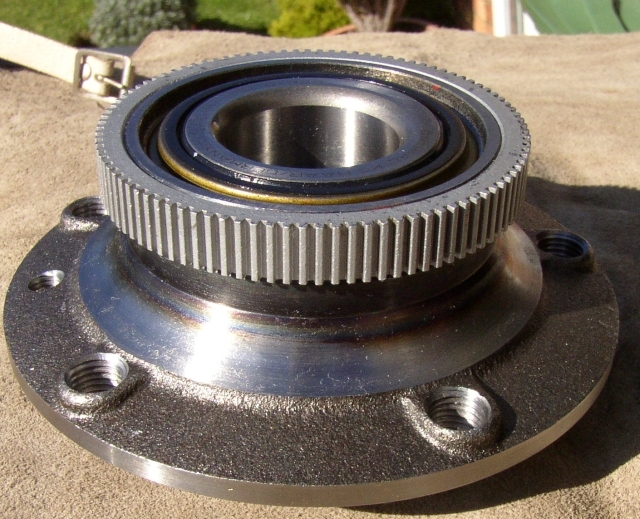 That is pretty much what is done over here due to the high cost of the supposedly bespoke E30M3 hub/bearing assembly. I know that is was done many times. I just wanted to prove the point that it can be done at home with fairly cheapo tools to encourage others to have a go and save some bucks. 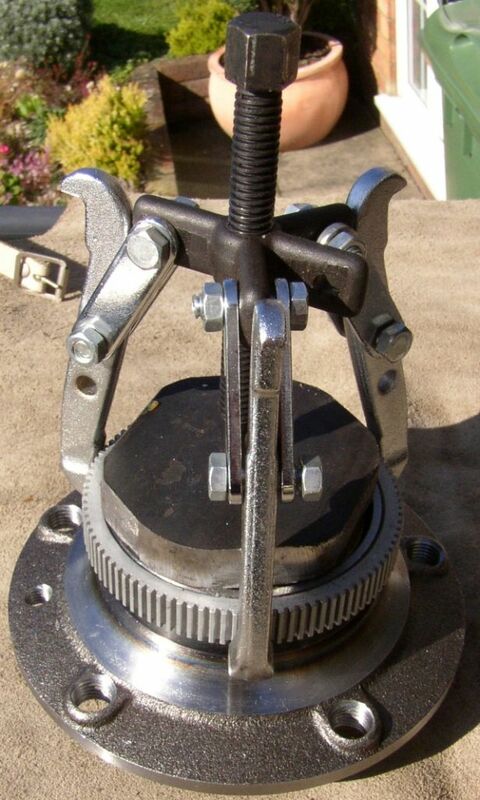 Did you pound/tap the ABS ring in place or did you use a disc that fit the OD of the ABS ring and use the puller arms on the Outermost diameter of the hub to "push" the ring on? Thanks! Use a Bench vise to press it on until it is flush. Then open the jaws of the vise until it is wide enough to match the diameter of the ABS ring, then gently tap the hub down to seat the ABS ring, rotating the assembly after each couple of taps. A brass hammer is very useful..
Make sure the depth of the ring matches its position on the old hub. He, he. I did the exact same thing this weekend to a spare e28 hub that will find its way in the track spare parts bin. This was helpful as I had to replace one of my bearings a few weeks ago. It took a little work to hammer the dust cap back into shape but it did go back on without a problem. Also, people should note that #3 needs to be replaced when the bearing is replaced. Last edited by Mick; 08-27-2007, 06:47 AM. Thanks. If I understand what you are saying....use the bench vice to "start" the ring onto the hub. After it has started (a few mm or so), remove from the vice, open the vice to accomodate the OD of the ring and lay the hub (ABS ring facing down) atop the vice jaws. Lightly tap with brass hammer, often rotating until the step in the ring matches the lip of the hub/bearing? If engaging the hub into the ring is diffficult, simply put it in the freezer for 15 minutes. It will contract enough so it will slide much easier... Do the same when changing rear bearings. Cool. Yeah....I was thinking of doing that. I did new hubs last year so but kept the e28 rings on and disconnected the ABS. I am not a huge fan of ABS but ever since I have pulled the rings off of the old hubs, I have considered going back with the ABS. Great point!!! The hot cold tricks for bearings makes things go together like butter... The wife used to always ask why I had car parts in the freezer!!! Great pictures, thank you! I've read this process described many times, but had never seen pics before. The overall pics of the hub before & after the ring swap really tell the story.